A reminder to all: glass shatters, even fancy fortified glass like Corning’s Gorilla Glass. If that glass happens to be attached to the screen of your favorite gadget, then an unfortunate mess ensues. 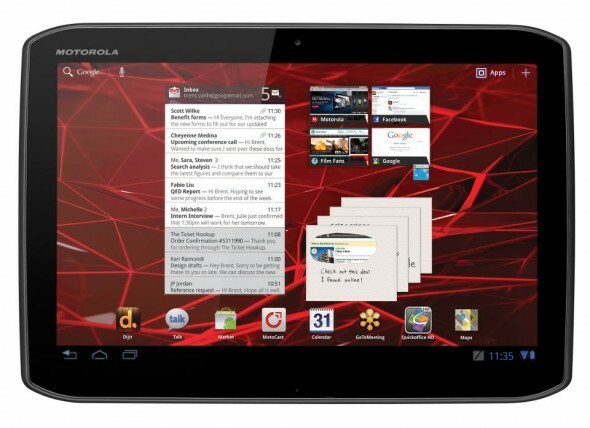 Take the iPad, a 9.7-inch screen dominates the tablet’s front, which in turn is covered by glass. The iPad 2’s screen was protected by Gorilla Glass, while it has been rumored that the 3rd generation iPad would feature the latest Gorilla Glass technology that we saw this year at CES. 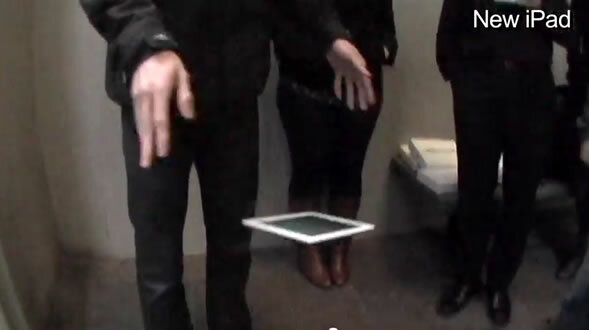 So is the new iPad more impervious to drops compared to the iPad 2? For a company that deals exclusively with glass (and ceramics) these are exciting times. Corning’s Gorilla Glass has already found its way into hundreds of devices, like smartphones and tablets, while we’ve already seen the announcement of the improved Gorilla Glass 2 earlier this year. 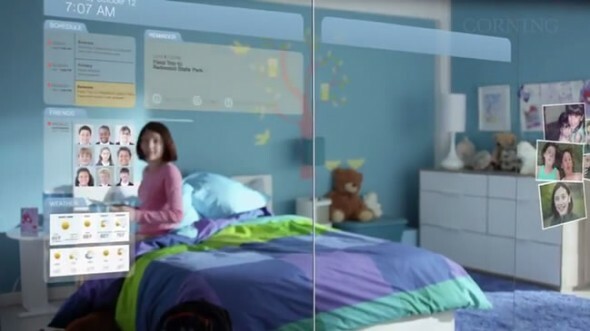 Corning doesn’t just stop at fortified glass however and the company has released a new video of how it envisions glass may come into our lives in the future. Obviously all this is very conceptual at the moment, including electrochomic glass that can change in color and translucency, big architectural display glass that is touch sensitive, automotive glass and of course tablet display glass that can even have anti-microbial properties for use in medical facilities. The full video is after the break for your enjoyment. It seems that we guessed this one right. Corning has officially announced the new generation of its popular damage-resistant glass. Gorilla Glass 2 has the same scratch and impact resistance as its predecessor despite being 20% thinner. With thinner cover glass, devices don’t have any excuse for not shedding their holiday fat. So, you can expect slimmer devices and more variety in terms of designs and form factors — maybe we’ll now see more curved screens with Gorilla Glass protection. Also, because the screen will now be closer to your fingers, you will be getting a better touch experience, and better optical performance. If manufacturers choose to optically laminate the screen (i.e. iPhone), the screen will truly seem like it is floating at the edge of the device. What could make the world’s most popular fortified glass brand better? We’ll soon find out as Corning comes to CES 2012 in Las Vegas. Gorilla Glass can be found in more than 575 products, including many of our favorite smartphones and tablets. 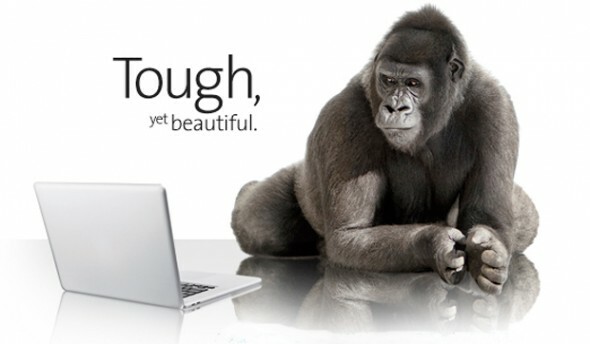 Unofficially you’ll also find Gorilla Glass in the iPhone and iPad. 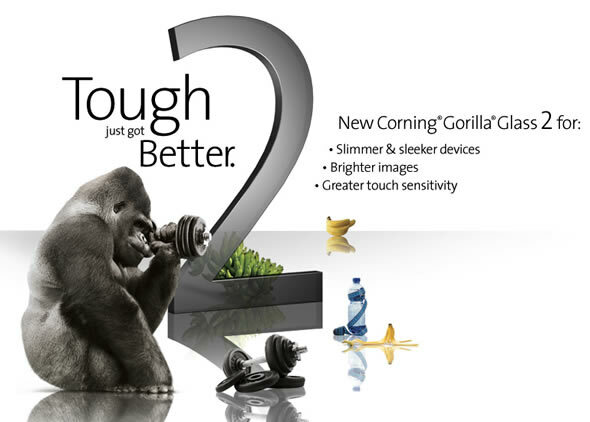 Corning has just announced that it will be showing off the next generation Gorilla Glass 2 at CES 2012 next week. Details are scarce at the moment besides that the company will be accommodating thinner designs by manufacturers. This could mean that the new Gorilla Glass 2 can be made thinner or easier to integrate in curved designs while maintaining hardness. Thinner cover glass would also mean better touchscreen performance and screen sharpness. Apple has been using optical lamination to fuse the iPhone’s display to the glass in order to keep designs thinner while improving touch experience as the screen seems to be floating on the surface of the device. 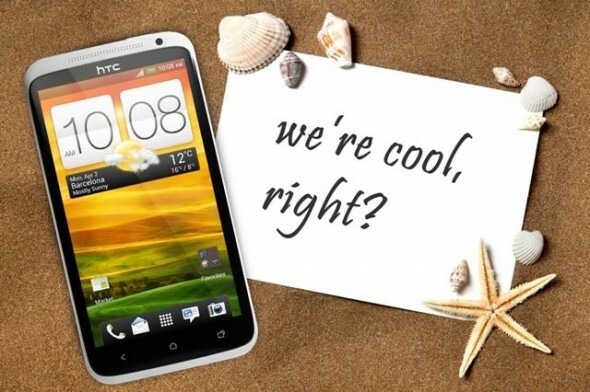 There are rumors that the Tegra 3 quad-core 4.7-inch HTC Edge will also have an optically laminated screen. 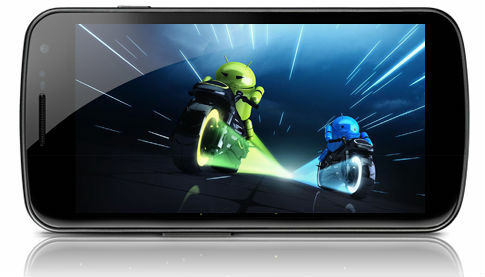 For anyone who hasn’t yet heard of the Samsung Galaxy Nexus, it’s going to be the first device to carry Android 4.0 Ice Cream Sandwich. It’s also a large screened, 4.65-inch, Super AMOLED HD curved beauty. We’ve already discussed how Samsung managed to achieve a 1280×720 HD resolution on the AMOLED screen using PenTile Matrix technology and any caveats that might entail. Well there has also been a lot of discussion whether the Galaxy Nexus features the scratch resistant and durable Gorilla Glass to protect its large display. Corning, the makers of Gorilla Glass, have now confirmed through Twitter that the Galaxy Nexus doesn’t use their trademark technology.